Korbach, September 24, 2018. 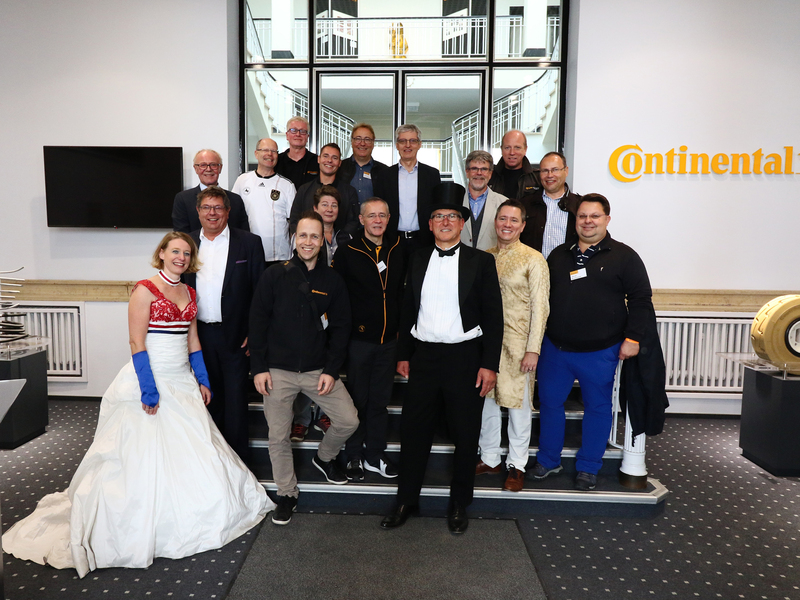 The technology company and premium tire manufacturer Continental celebrated on Saturday, September 22, the 111th anniversary of the Korbach production site. Mayor Klaus Friedrich, District Administrator Dr. Reinhard Kubat, member of the Continental Executive Board Hans-Jürgen Duensing, associated representatives of local institutions and business partners, and the local management team were there to celebrate the success story of the Korbach plant alongside around 5,000 employees and their families. Investments of over €250 million in new production technologies, an increase in production volume as well as an expansion of the product portfolio and a team of roughly 3,600 employees that has grown by more than 20 percent – this is the successful track record of the Continental plant in Korbach over the past ten years. Continental now employs staff from over 50 different nationalities in Korbach. Lothar Salokat, plant manager and host of the event, fosters a corporate culture based on diversity and teamwork that embraces differences, supports new ideas and encourages intercultural exchange. “Over our 111-year history, our employees’ sense of affiliation with the region and with Continental has been the unique strength of the Korbach plant,” he said. After the official welcome messages from the speakers and music from a samba group and bagpipe players, there was a varied program for young and old. Alongside photo galleries of the location over the years and entertainment from the Cappuccino Ensemble, there was plenty of entertainment for children as well: The playground with a bouncer castle, human kicker and painting corner brought a lot of positive reactions. A special highlight was the competition for the most impressive costumes of the different nationalities, which some of the guests also took part in. The musical highlight came when “A Band Called Wanda” took to the stage in the evening, bringing the event to a relaxed and cheerful close. Continental and Korbach can look back on a long tradition: The diverse Continental plant has been based in the city for 111 years. Employing around 3,600 people in a city of 23,500 inhabitants makes Continental the city’s biggest employer.